Kai Havertz has been attracting attention this season. Bayern Leverkusen midfielder Kai Havertz reportedly made a visit to Liverpool's training ground last month, with a potential January transfer in the offing. So here is everything you need to know about the youngster. Why would Liverpool be interested? Growing up near the Dutch border, Havertz, born in 1999, joined Leverkusen in 2010 and worked his way through the club's academy. 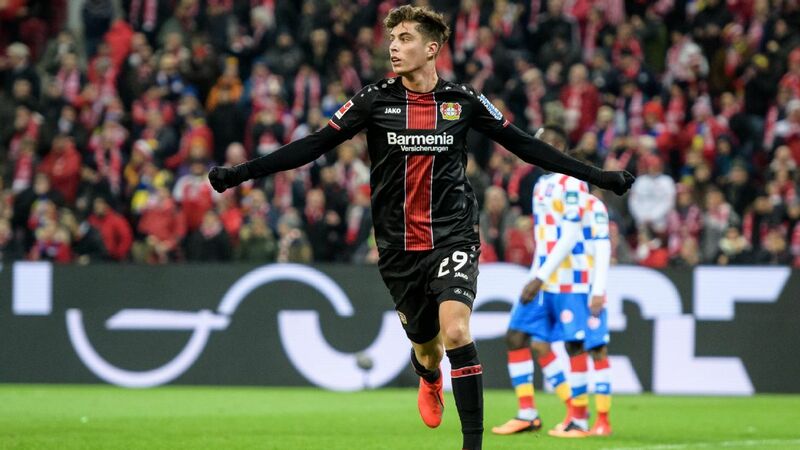 Kai Havertz is seen as Hakan Calhanoglu's replacement at Bayer Leverkusen. Germany youth international Kai Havertz has signed a new five-year contract at Bayer Leverkusen. Havertz, 18, became Leverkusen's youngest-ever player when he started against Darmstadt on match day 10 of the 2016-17 season. Born in June 1999, the attacking midfielder has already made 28 competitive appearances for the club, scoring four goals and setting up a further six. In the Bundesliga, the future is now. At 25.8, the average age of players in the 18 top-flight squads is lower than in any of Europe's top domestic competitions, thanks to a vertically integrated youth development system that delivers ready-made professionals and a surplus of young coaches not afraid to give young players a chance. Kai Havertz won't be making his 21st appearance of the season for Leverkusen against Atletico Madrid...instead he will taking an exam. With a crucial Champions League second leg against Atletico Madrid on the cards, Bayer Leverkusen took the time to inform their fans which players would be unavailable for selection. Along with several injuries and a suspension to contend with, Leverkusen also revealed they'd be forced to manage without the services of midfieldr Kai Havertz at the Estadio Vicente Calderon. However, it emerged that the teenager has a very good excuse for staying behind.